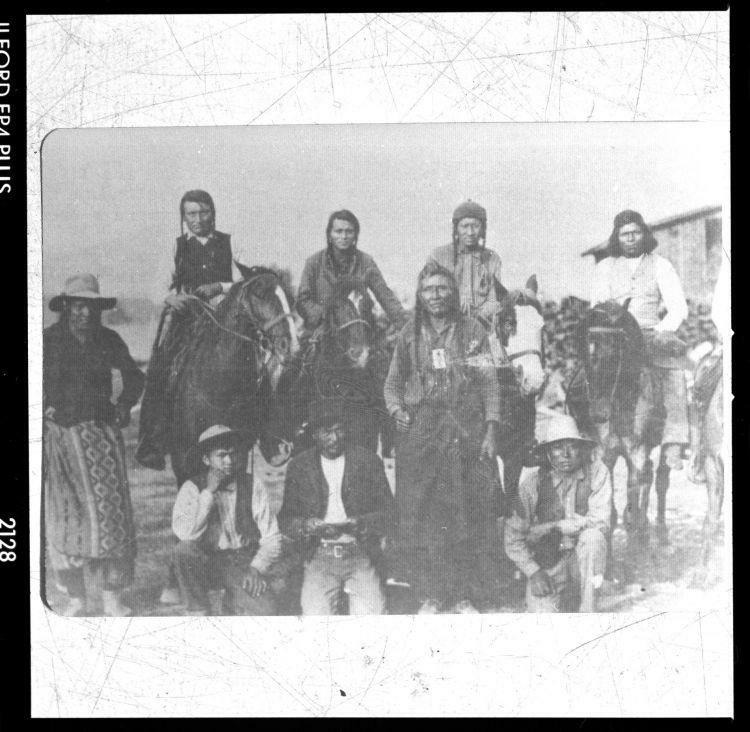 Nine men, some in native dress and others in western clothing, pose for the camera on horseback, standing, and kneeling. A building is visible copy right in the background. Copy print is somewhat blurry and overexposed in lower right corner.